If you are like me, a person who wants variety then this post is perfect for you. I have been trying to decide where I want to spend my last 10 nights of Ramadan. I mean don’t get me wrong who don’t like fasting 18 hours, and before you say well Norway fasts 22 I shall say, yes they do! The thing is I am OK with fasting I just like to change the scenery. I don’t really mind our small mosque because we are thankful for having it. But here are my top picks of where I am thinking of going for the last 10 nights. Just to change the scenery and enjoy a different Ramadan experience. I know people will think I am crazy for saying this but the UAE is one of the closest and cheapest places to go to currently. Whether it’s cash or on miles, it’s so easy to reach and you can still fast during the trip if you want to. They also fast 2 hours less than in the UK. 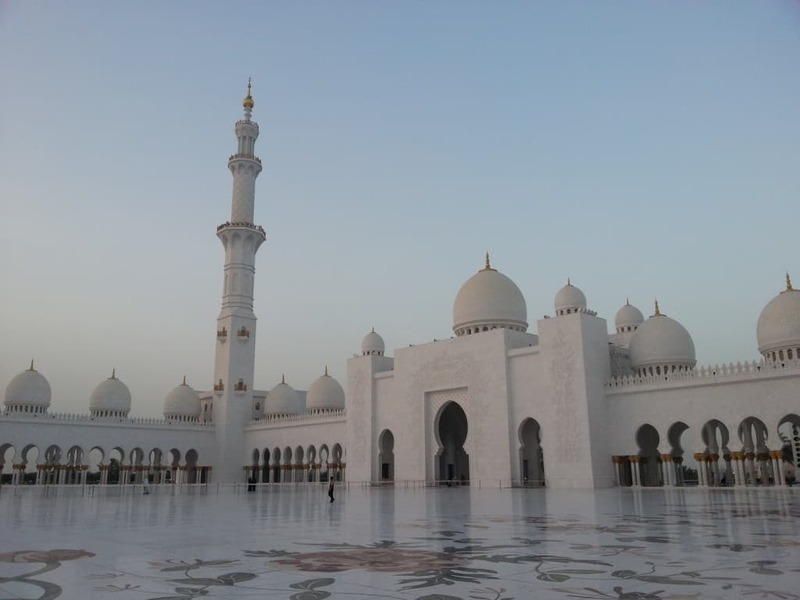 One of my favourite cities in the UAE is Abu Dhabi and one of my favourite “attractions” is the Grand Mosque. I have been thinking for years to visit during Ramadan as I can only imagine how beautiful it’s going to be praying there in Ramadan. Worrying about flights? You shouldn’t be. Definitely check my article on cheap flights to Dubai with low-cost airlines. Currently, some days in July are as low as £50 one way. If you prefer direct flights booked from the UK they are currently priced between £250-£350. Check out Skyscanner for the latest prices as a calendar month. Hotels are also very cheap since it is their low season and you can have some amazing bargains in 5-star luxury. Understandably it is very hot in the UAE and it’s their low season but if you are going to spend your time praying at night and exploring the malls like a local then you should be OK. Currently, Morocco is a hot destination with many Europeans but as a Muslim country, there are plenty of things you can do as well. 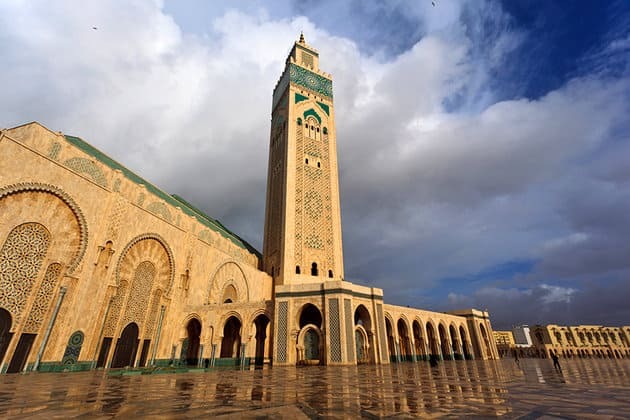 Casablanca has such a beautiful grand mosque that is one of the focal points of the city. Marrakesh has its own beautiful scenery with souks and Djemaa el-Fna square. Food and prayer facilities are also very easy to find and I have had some of the most amazing hanging in the most unexpected places. Really try the places where locals eat in the souk. It wasn’t a 5-star hotel experience but the food was real Moroccan dishes. Fes is another favourite for me and I will definitely recommend you visit if you don’t want the 100% ‘touristy’ experience. Spending some of the last 10 nights in Morroco and maybe Eid is a good way to experience the hospitality of another nation in Ramadan. Unfortunately, if you are looking to escape fasting 18hrs Morocco won’t be your first choice since they fast approximately 1 hour less than the UK. Flights from the UK are currently very reasonable at a £100 return per person. Hotels are also cheap in many cities with 4 stars for £40 per night. If you want an alternative and more of a local experience you can find rooms on Airbnb from as little as £20. Malaysia is a destination I loved and I would happily go back in a heartbeat. If you have time and you can afford it then it’s a perfect opportunity to spend some of your Ramadan there and maybe celebrate Eid too. As a Muslim country, there is no problem with food and prayer facilities during Ramadan. They have night bazaars, activities and events throughout Ramadan so you will definitely not be bored. Also as an Eid trip you can explore Malaysia or some neighbouring countries with Singapore and Thailand being so close. There is something for everyone and they offer some amazing places to explore. City shopping in Singapore and beach resorts in Thailand and Malaysia. Flights are currently cheap at around £400 and if you use my advice on my training video you can get it even cheaper. Another awesome thing about Kuala Lumpur is that they have really cheap 5-star hotels; some of the cheapest prices in Asia. Even the Four Seasons can be booked for as little as £150 per night; the equivalent in London is about £500 per night. 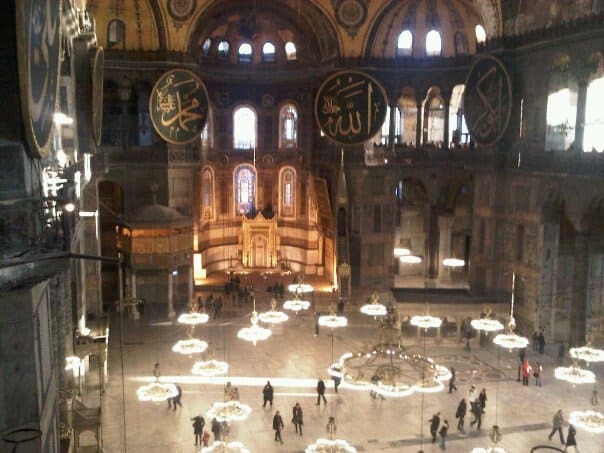 Istanbul is one of the favourite places for Muslims and I don’t disagree! The Blue Mosque is magical and in Ramadan, it can only be better. The history of this place is great and there are so many things you can do even during Ramadan. Walks along the Bosporous is one of my favourite and just before sunset hearing the Maghrib call for prayer is beautiful. You can even have an Iftar cruise along the Bosporus if you want; just make sure you pick one without too much music and alcohol. Even though Turkey is a secular country 90% of its population is Muslim so halal food and prayer facilities are not a problem. You can read my article and review of Turkey during Ramadan in this issue of Ilma Magazine, a free online magazine. Since Turkey is in Europe you can find good prices either with low cost airlines or otherwise. From London prices are approximately £140 and it’s only a 3-hour flight so it might not even affect your fasting during Ramadan. Hotel prices are reasonable considering it is a peak season for them and they can be booked from £80 in the old town, in the heart of the action. If you are a family then Airbnb might be a better choice for you. It is also perfect if you want to combine it with an Eid trip to coastal Turkey and enjoy some sun as well in the several Halal resorts. 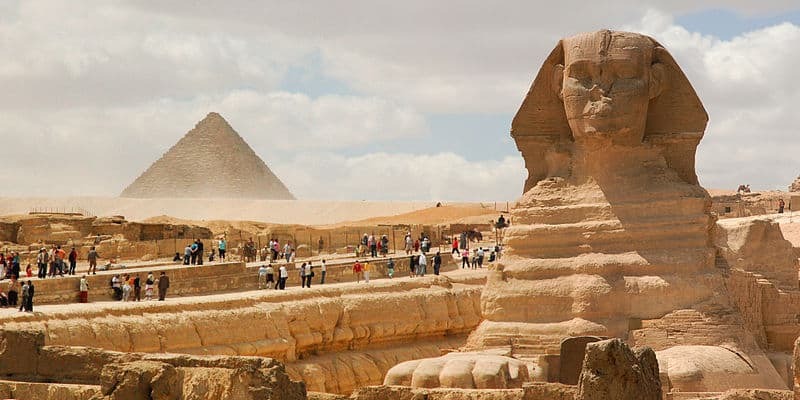 Egypt is an all year round destination with great seaside and history. It is only a few hours away from the UK and Europe and it does make a great destination for Muslims. Whether you pick Cairo or one of the resorts you know that there will be facilities to pray and halal food options. Sharm El Sheikh and Hurghada are mostly beach destinations and currently there it is a tourist season but they are family orientated hotels where you can relax and be away from the hustle and bustle. If you are in Cairo you can explore some of the best historic sites in the world and spend the night praying with the locals in the mosque. This is one of the things I love most about travelling. Having a local experience and seeing how other Muslims celebrate Ramadan and Eid. Flights from the UK and Europe are very reasonable and can be booked for less than £200 on some days. Hotels in Cairo and the seaside are some of the nicest and cheapest properties you can find for about £50 five or four star hotels. Check the latest prices here. Even for a points redemption, they are so low it’s crazy. Plus you get to save an hour or two of fasting, which is always a bonus. Whatever you chose make sure you keep your fasts and your prayer. Travelling is good only if it doesn’t defeat the purpose of Ramadan but enhances it. 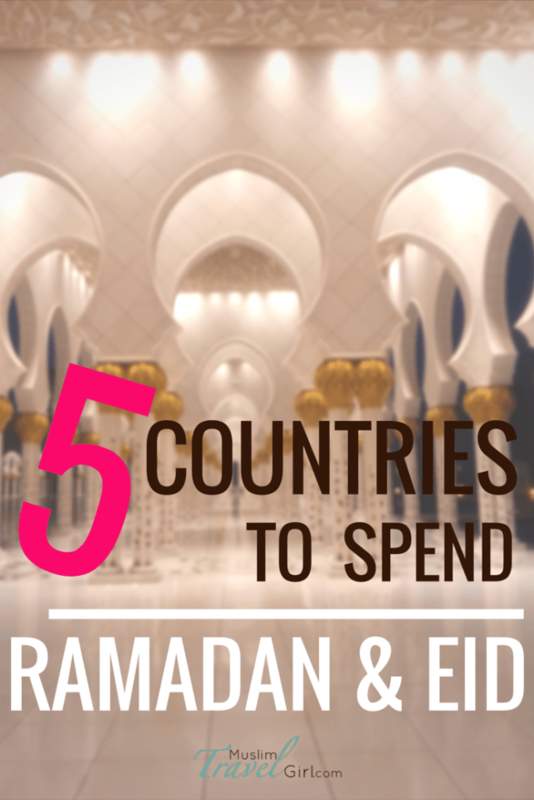 Ramadan is a special month and travelling can enhance this experience especially if you live in a non-Muslim country. Seeing how others celebrate or enjoy Ramadan is part of the good spirit and brotherhood of the month. I would love to hear where is your favourite place to travel during Ramadan and Eid? How did you find driving in the UAE? Driving in the United Arab Emirates is similar to driving in Oman: the roads are well-paved and clearly marked; and the drivers follow the traffic laws and rules except for exceeding the speed limit. I have never had to pay for parking — whether at a mosque, a shopping mall or at a hotel property. Fuel is rather inexpensive; and the rental car rates are a good deal as well. If you are used to driving in the United Kingdom or United States, you should have no problem. Just be aware that drivers drive on the right side of the road in the United Arab Emirates. Interestingly, I rented a car twice in the United Arab Emirates; and both times, the transmission was automatic and not manual, which is unusual for cars outside of the United States. I’d also add Indonesia on your list. 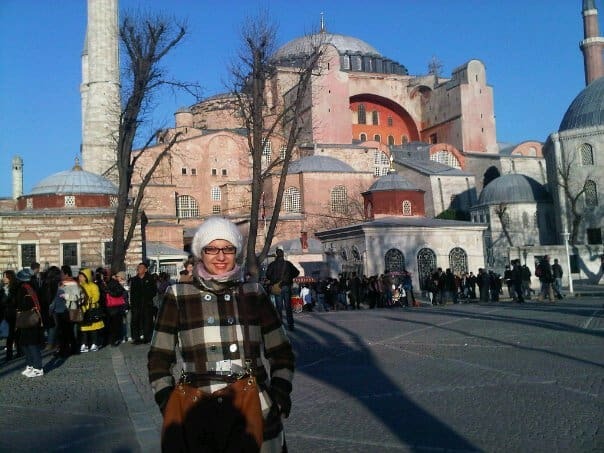 When I went last year, it was cheaper than going to Malaysia and it was humbling to visit a 3rd world Muslim country. Perhaps getting there is the costliest part of the trip but once there, it’s much more affordable. In addition, other Muslim countries like Malaysia, Brunei, and southern Philippines are nearby in case you wish to visit them. …consider staying at the Hilton Capital Grand Abu Dhabi. This hotel is literally an easy car ride of five or so minutes away from the famous mosque; and you will not even have to get on a highway or major boulevard. You will also not be stuck in traffic. It is incredibly convenient; and there is also a Carrefour supermarket and currency exchange place within walking distance — both of which I recommend. Definitely, a cheap option for Abu Dhabi though I might stay there only is I am visiting for a day or two since it is far from the city. Cape Town South Africa. You’ll fast for 12hours, be spoilt for choice in terms of halal restaurants and mosques, not even mentioning all the other reasons this is a first class tourist destination. There is a Hilton located in BoKaap. Jerusalem, in Palestine is a great destination for Ramadan. I went there last year and I totally enjoyed it. I am surprised you haven’t mentioned Al Aqsa. I went in in Ramadan 2016. It’s perfectly safe and we went with about 450 people from the UK. Amazing atmosphere. MashaAllah amazing, we are thinking of going to Al Aqsa this year. In Sha Allah.. I know an organisation that specialises in Al Aqsa tours. Thier Early Bird Discount ends on the 20th Jan. Let me know if you want further details.